Here she is, my Touch of Velvet wrap! I think it’s just lovely, even if I say so myself. The black and red Scheepjes Color Crafter Velvet yarn work lovely together and the black beads are the finishing touch. Now that you know what it looks like I am sure that some of you would love to have the pattern for it. 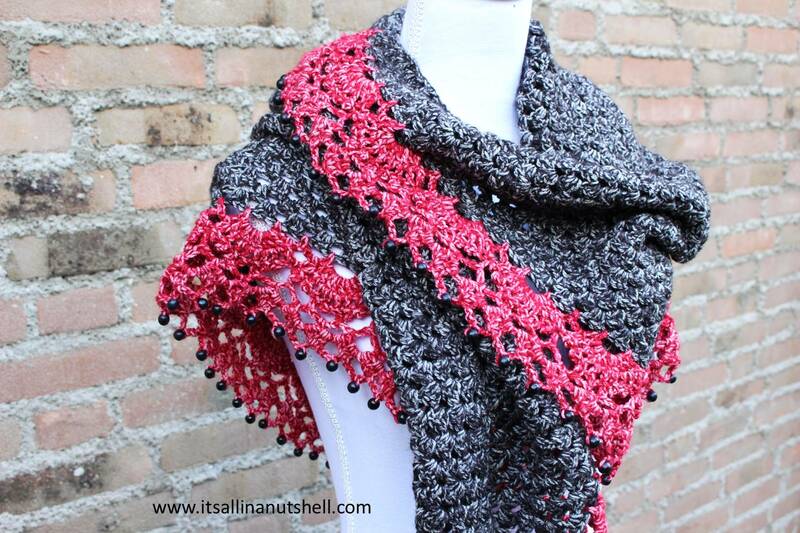 Next week I will share the free pattern for my Touch of Velvet Wrap. It’s gorgeous Esther!! Can’t wait for the pattern! Very pretty, has got something Spanish about it. The velvet shawl is lovely!!! Thank you so much for your offer of the pattern!!!!! Deze sjaal is prachtig geworden ! Een heel fijn 2017 gewenst. 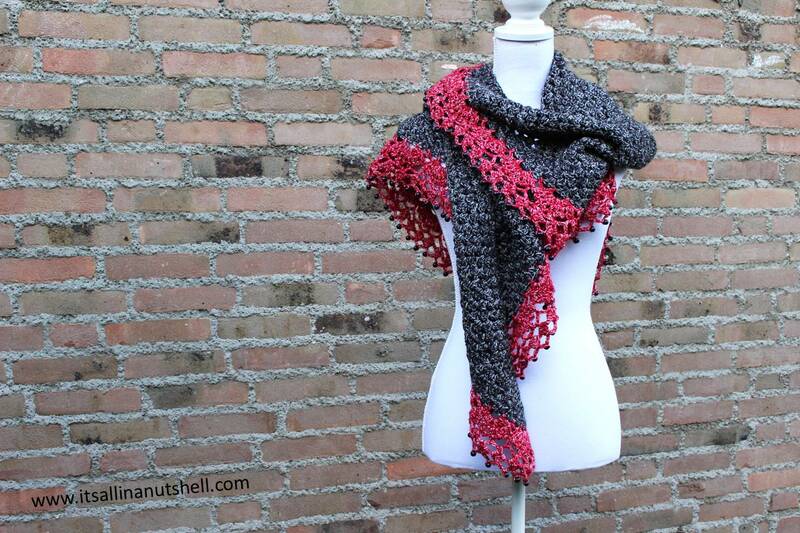 Such a wonderful shawl, and you will even share the pattern for free! Thank you so much for your generosity. It is very elegant looking, You did a great job! Will you be having a tutorial on this pattern as well?